There are so many things wrong with this, it is hard to know where start. Yep, it’s a law that solves a problem, which for the most part doesn’t exist. The fact it takes Eric Keniie 3-buses to get to a vital Texas state service, just shows how broken our transport system is in Austin. Here is a man, which, if as reported, seems a reasonable grasp on life, and a good approach, who makes living as a scrapper, foraging in other peoples garbage and when feeling flush, handout food to neighbors. So much for the Texas miracle. ‘Born and raised’ Texans forced to prove identities under new voter ID law | US news | theguardian.com. Patents are a big deal in my industry, I spend a lot of time working with technology that is patented, I work in a business where people are paid for filing patents, many of which have actually never been used, and most of all I work in a business where massive companies fight over patents trade patents as weapons for defensive and offensive actions. I myself have no patents. I fundamentally disagree with the way patents have been used ever since I first became aware of them, and that was a very long time after I first started reading the source code for IBM System Software. As far as I can remember, that IBM source code was copyright, but I don’t remember seeing long lists of patents and patent numbers in the source code. That was the late 1970’s. The problem is, understanding patent law can be really difficult. 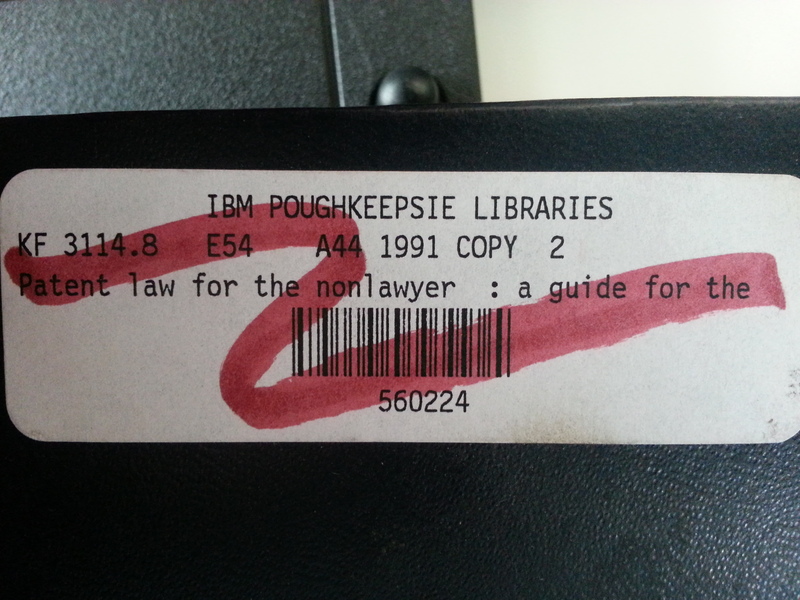 Ironically, after working with IBM legal 10-years ago in negotiations with the European Commision, I went back to the IBM Poughkeepsie office and they were closing down the physical lending library and giving away all the books. I picked up a few, including this one. However, today I heard the best example and explanation on patent law, the difficulties with it, and how absurd it can be, and how it can be abused. It was Episode #399 of the Planet Money podcast, How to patent a steak.